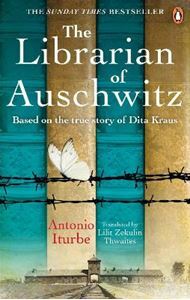 Quick overview And so Dita becomes the secret librarian of Auschwitz, responsible for the safekeeping of the small collection of titles, as well as the `living books' - prisoners of Auschwitz who know certain books so well, they too can be `borrowed' to educate the children in the camp. For readers of The Tattooist of Auschwitz and The Choice: this is the story of the smallest library in the world - and the most dangerous. Fourteen-year-old Dita is one of the many imprisoned by the Nazis at Auschwitz. Taken, along with her mother and father, from the Terezin ghetto in Prague, Dita is adjusting to the constant terror that is life in the camp. When Jewish leader Freddy Hirsch asks Dita to take charge of the eight precious books the prisoners have managed to smuggle past the guards, she agrees. And so Dita becomes the secret librarian of Auschwitz, responsible for the safekeeping of the small collection of titles, as well as the `living books' - prisoners of Auschwitz who know certain books so well, they too can be `borrowed' to educate the children in the camp.